This review has not taken a ridiculously long time to put together. I have no excuse; the closest I can come to a reason is that the emotions and the quality of the writing and my own back story with the subject matter all made it hard to write. 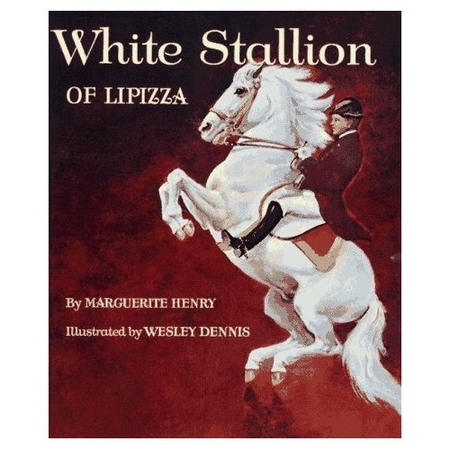 And when in some elementary school English class we learned about tall tales and were asked to write our own, I – being deep under the spell of Marguerite Henry, wrote a thing which must have left my teacher utterly baffled: my tall tale was about a Lipizzaner who could hold a levade for hours and perform as many caprioles as you could possibly want. This was pre–internet, so I still wonder if the poor woman had to go hit the library to figure out if I was being esoteric or just a truly weird little kid. So obviously the horse–mad parts of this book were made for me. I thrive on details of horsemanship and stable life, and there is no stable on earth in which I would rather experience horsemanship than the Spanish Riding School of Vienna. It’s nice to be given the explanation for why there is a Spanish Riding School in Vienna. (It’s a breed of Spanish origin named after a village in Italy (which is in current–day Slovenia) and perfected in Austria.) I’m still boggled by the fact that a Standardbred can “trot the distance of one mile in less than two minutes and thirty seconds” when Thoroughbreds galloping all out take about two and a bit minutes to run the mile-and-an-eighth Kentucky Derby, doing the hour in about 1:35. That’s astonishing, although it was just a side comment; this book has lots of details I knew and also lots I never knew before. I never knew Poland was so highly regarded for its Arabs – perhaps because by the time I was born the breed had not yet recovered there (like so many other things). (And now I feel extraordinarily stupid for never processing “Polsky Arab” into what it actually means. Well, I was a kid.) I never knew that WWII actually used twice as many horses as WWI. This was a long tale of heroism – the men who worked so hard to save the Lipizzanners and other fine horses were amazing – and of horror. The reasons the horses needed saving are just one part of the awfulness of the war; I never knew that the Third Reich’s goals of pure blood extended to horses as well; I don’t think I want to get into the corollaries between Reichian eugenics and the breeding of horses to foster certain qualities. I had no idea about the seizures of horses all over Europe – and the equine massacres that often resulted. And I’m not thrilled by how America handled the recapture, the “rescue” of thousands of horses. I have this model, so I’ve always felt attached to the breed. Yeah. That about covers it. I didn’t fail to see how … off it was to be so outraged by horses’ deaths and abuse when all over Europe more than six million people were in the process of being murdered. But I’m not about to apologize for it. It’s similar to the human tendency to weep over the death of a single child when outright genocide might result in simple numbness. I love horses. 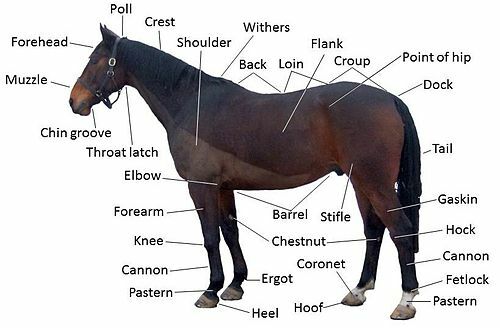 I know horses. I want more to do with horses. Le plus je connais les hommes, le plus j’aime mon cheval – I had that on a mug when I started taking French in school. And it was, and is, the absolute truth (except for the “my” part, since, I’ve never had my own horse). Horses are innocent – as were all of the civilians killed and displaced and abused. But horses are entirely dependent on humans. They have no agency to relocate to a safer area on their own, or to fight back in any way but in the moment with teeth and hooves. We, people, have put them in the situations where they exist – to then make those situations painful, or lethal, is unforgivable. It was horrible to read – and a relief that there was heroism to dilute the pain. This tale reminds me a bit of a shallow stream, beautiful in places, pooling in places, in some places trickling slowly over rocks, occasionally diverted a bit before coming back on track. There are frequent recaps (where the stream flows backward for a minute before resuming), which began to feel like padding. I was not overly fond of the author’s departures into what Capote liked to call a non-fiction novel, with notes about what subjects’ thoughts must have been here, or what someone saw there; a straightforward history might have been better. Sentences like “The two chestnuts followed Hank’s movements with their big, soft eyes”, while quite possible accurate, begin to make it sound like a novel I might have read when I was fourteen. These fictionalized moments softened the focus – and also felt a bit like padding. I got a chuckle out of one quote from Alois Podhajsky (Ah–loys Pod–hey–skee, thank you Ms. Letts), director of the Spanish Riding School: “Excited applause does not help in the least; what is needed is perfect sympathy and harmony with one’s partner.” I saw the Lipizzaners perform years ago, and the announcer specifically encouraged the audience to be loudly enthusiastic and take lots of pictures, because the stallions loved the approval and attention. They’re apparently big ol’ gorgeous hams, which is incredibly endearing – and, now that I’ve learned more than I knew then, pretty surprising considering horses in general and stallions in particular don’t tend to handle noise and flashing lights with what could be called aplomb. Or sanity. But maybe the stallions’ enjoyment of the attention increased as technology advanced. Honestly, I think Lipizzaners are responsible for the layman’s misunderstanding that stallions are easy to handle (which in general they are not. 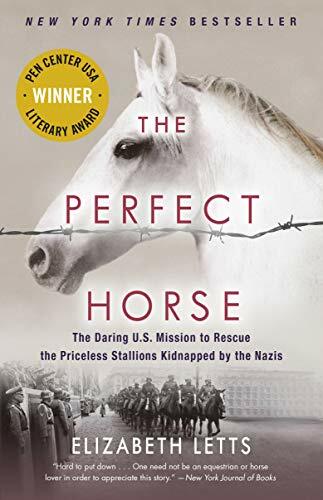 This entry was posted in books, history, non-fiction and tagged Elizabeth Letts, NetGalley, non-fiction, The Perfect Horse, WWII. Bookmark the permalink.